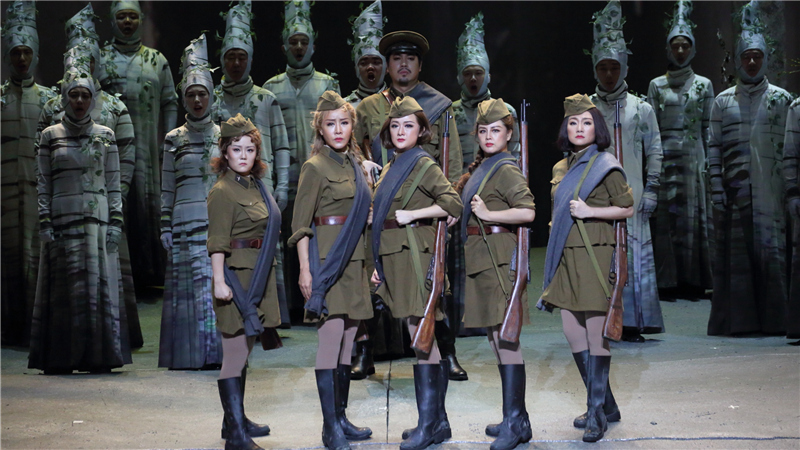 On the evening of September 11th in St. Petersburg, the Mariinsky Theatre saw the debut of the NCPA opera commission The Dawns Here Are Quiet, produced by director WANG Xiaoying in cooperation with Chinese composer TANG Jianping and librettist WAN Fang. 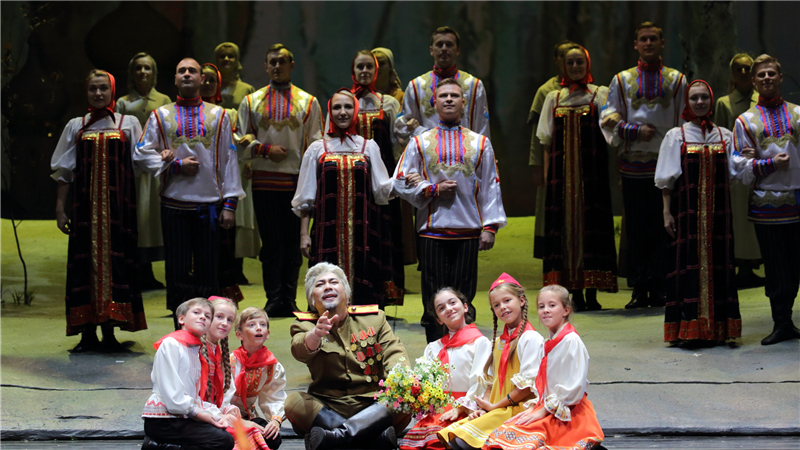 Performed by Chinese and Russian artists from the NCPA, Mariinsky Theatre and State Song and Dance Ensemble of the Western Military District, the opera deeply moved the Russian audience. The NCPA opera commission The Dawns Here Are Quiet makes its Marrinsky debut. The NCPA opera commission The Dawns Here Are Quiet was included in the opening performance of the theatre’s 2018/19 season. On the day before the performance, an art salon was held at the Confucius Institute at St. Petersburg State University to warm up for the opening night. Chinese artists share the stage with Russian artists in the opera. That evening, the Mariinsky Orchestra presented the charms of Russia through the beautiful melody under NCPA Artistic Director LÜ Jia’s baton. 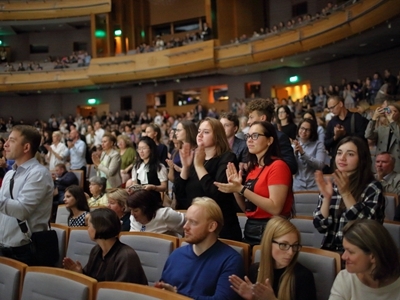 The audience was fascinated with the performance given by the NCPA opera singers, including ZHANG Yang, XU Xiaoying, WANG Hongyao, LI Xintong, ZHANG Zhuo and LIU Lian, as well as ballet dancers from the Mariinsky Theatre and dancers from the State Song and Dance Ensemble of the Western Military District. The Russian dancers and child actors in Russian national costumes sang and danced with the artists of China NCPA Chorus, giving the Chinese opera a strong Russian flavour. 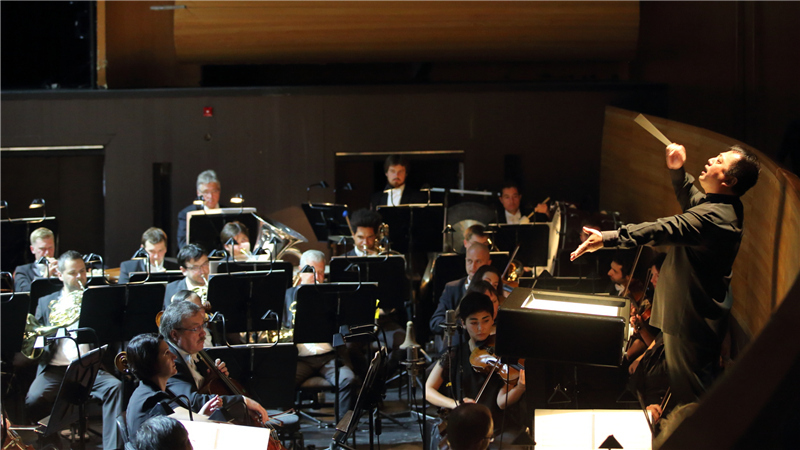 Under the baton of LÜ Jia, Mariinsky Orchestra brings out the beautiful melody. The performance has won standing ovation from the audience. 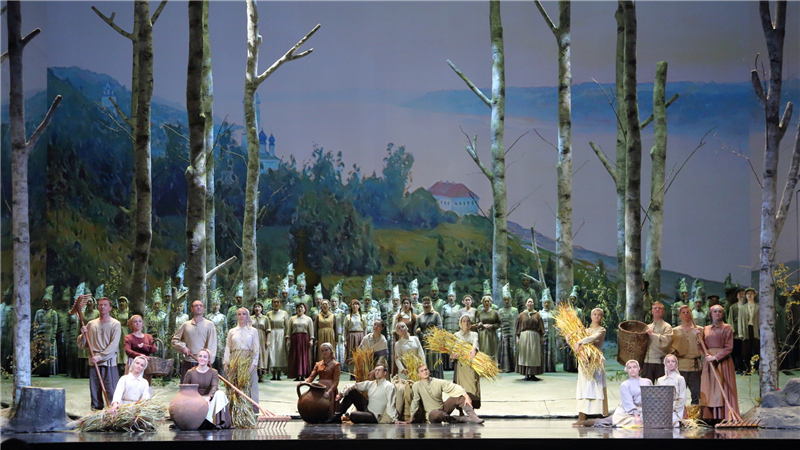 The opera continues until September 12th at Mariinsky Theatre. On September 14th-15th, the NCPA tour group will give performance in Moscow with the company of the Mariinsky Orchestra. Chinese and Russian artists share the stage to give two concerts of classic operas under the theme, “Hello, Russia!” at the Central Academic Theatre of the Russian Army. The concerts will be performed by Chinese signer SUN Xiuwei, who is active on the world’s opera stage, as well as Vadim Anaňjev and Maxim Maklakov, singers of the Alexandrov Ensemble, to sing popular classic arias in world-famous operas such as Tosca, Il Trovatore, Das Land des Lächelns and Il Barbiere di Siviglia. The arias in opera The Dawns Here Are Quiet will be sung at the concerts as well. The NCPA hopes to promote the art institutions in both countries to conduct profound art exchanges and cooperation with Chinese and Russian artists, and to deepen the Russian audience’s understanding of Chinese culture.